Constitution Memorial Day is a national holiday that takes place on May third in celebration of the promulgation of the 1947 Constitution of Japan. Constitution Memorial Day憲法記念日・けんぽうきねんび is held every year on the 3rd May to commemorate the promulgation in 1947 of Japan’s constitution. It was first celebrated in 1948 to reflect upon democracy and the role of 政府せいふ・government. 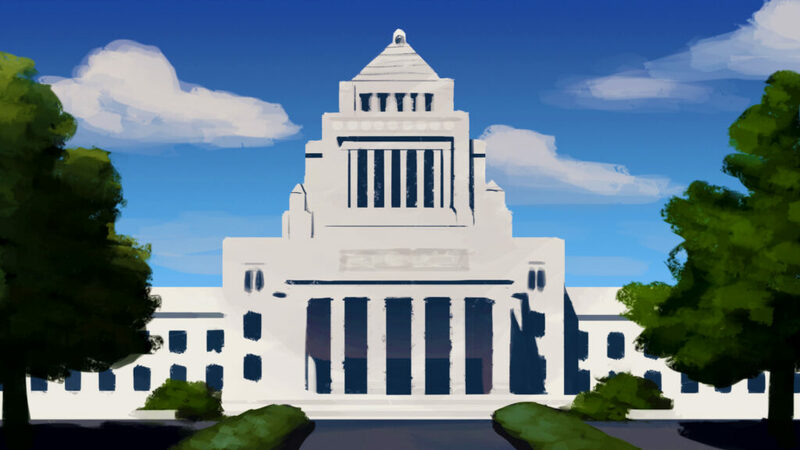 憲法記念日けんぽうきねんび・Constitution Memorial Day falls in the middle of ゴールデンウィークGolden Week one of the longest and busiest holiday periods in Japan. Golden Week is also the time when warm weather begins in earnest. Many people take advantage of both the weather and their time off to 旅行りょこう・travel. Many cities and towns throughout Japan have large festivals during this time. One of the largest such festivals is held in 浜松市はままつし・Hamamatsu City in 静岡県しずおかけん・Shizuoka Prefecture. It features Brazilian Samba dancing (because of its large Brazilian and South American population); parades of 屋台やたい・yatai and 御神輿おみこし・shrine floats, each one representing a different town, each one different from the next and all of them pulled by matching 浴衣ゆかた・yukata clad teams from their respective towns. There are also dozens of 屋台やたい・food stalls and live music performances in the area around 浜松駅はままつえき・Hamamatsu Station; and a kite flying and festival on the beach where the enormous hand painted wood and paper 凧たこ・kites from each town battle to stay in the air and cut down the kites of other teams. Many business in the heart of downtown Hamamatsu also offer their goods at 50% of the usual prices in celebration of the occasion!